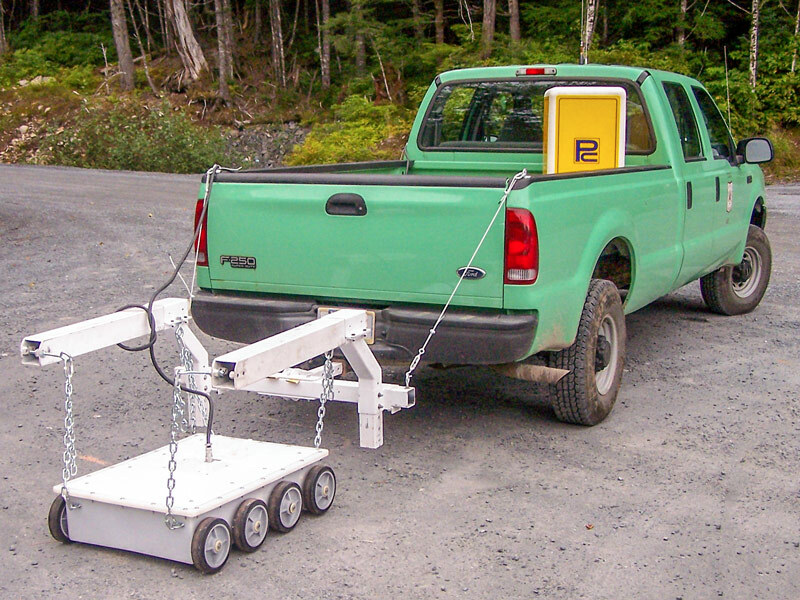 This is a complete, low-cost vehicle installation system for use with the IRIS or IRIS-P GPR. The VIS-1 will permit the IRIS/IRIS-P and antenna(s) to be used on a vehicle. 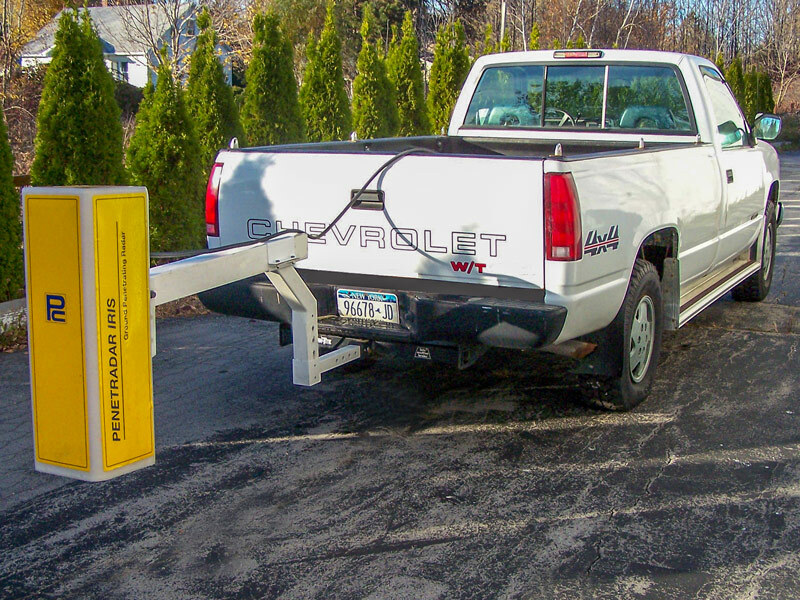 The VIS-1 will install on most light vans, pick-up trucks and SUV’s that have an existing 2 inch frame mounted receiver hitch. The system can be installed in a few hours and comes with complete installation instructions. The VIS-1 will support up to 2 non-contacting antennas or 1 contacting antenna. PS-24-PRMS Portable Radar Mounting Structure. An easy to install antenna mounting structure that installs into existing 2 inch frame mounted receiver. The PS-24-PRMS suspends up to two Model 30AGC/60AGC horn antenna(s) or one Model 301B/401B/501B. Specify the number of antennas. Distance Measuring Instrument (DMI). An electronic DMI interface unit that connects to vehicle ABS or VSS output. This provides high resolution distance information for direct interface to the IRIS-P. This is a complete vehicle installation system which includes an antenna mounting structure, Distance Measurement Instrument (DMI) and Power Interface. This system can be used with the IRIS/IRIS-P and up to four antennas installed in a lateral array on a vehicle. 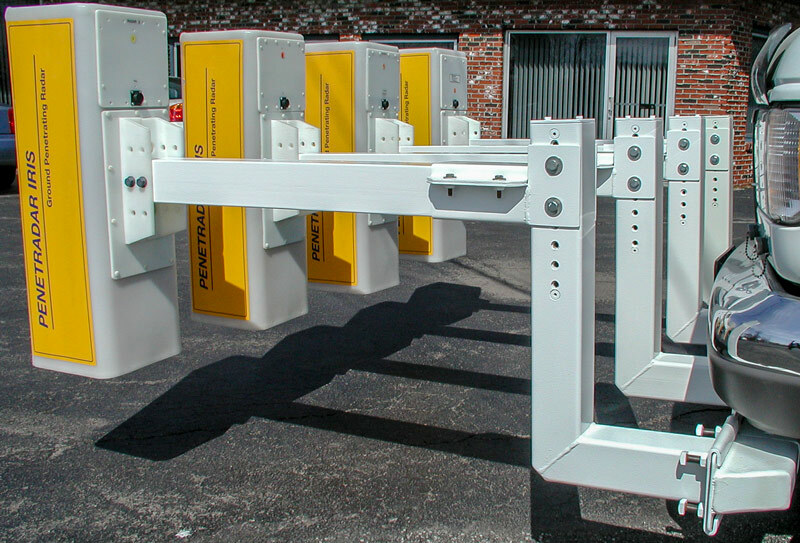 The VIS-2 supports up to four non-contacting antennas or two contacting antennas on the front or rear of a vehicle and allows lateral movement of the antenna to cover all parts of a traffic lane. 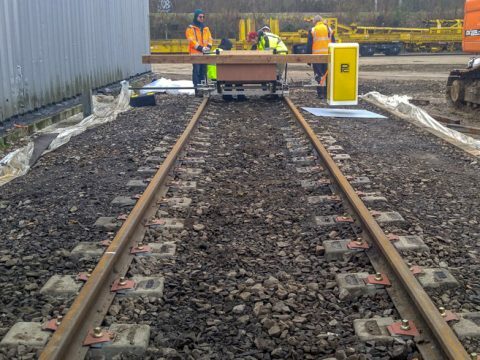 Typical uses include single pass inspection of pavements, bridge decks and runways. The VIS-2 is for permanent installation and can be installed on many vans, light trucks and SUV’s. Complete installation instructions are provided. DC power interface includes wiring installation kit to vehicle +12VDC power. Used for manual operation of IRIS and IRIS-P systems. 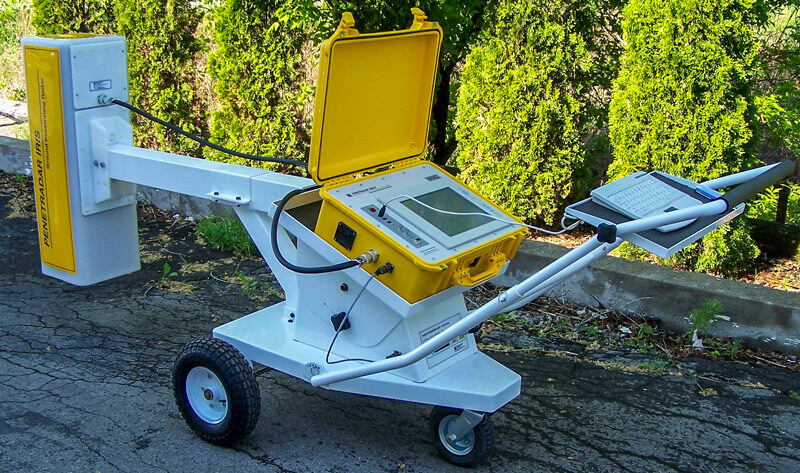 The Radar Transport Cart carries one 30AGC, 60AGC or 401B/501B antenna and incorporates the IRIS high resolution DMI for distance measurement and logging. External 17 inch LCD Display & SVGA output for IRIS or IRIS-P. Allows the use of a remote external monitor. Includes SVGA Interface and 17 inch color LCD display and Keyboard/Mouse. 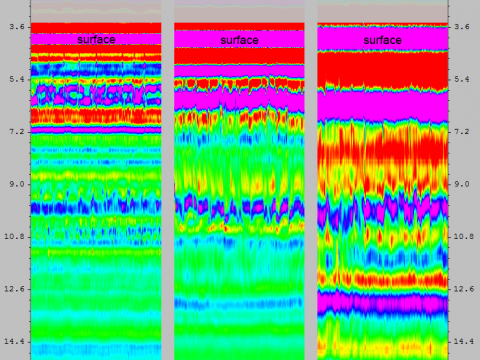 The PS-24-RPS is a remote station for processing IRIS GPR data in the office and includes a notebook computer, copy of IRIS Software for Windows (RDP and RDD software) and additional user license. This unit is used for easy setup of radar controls when interchanging antennas. 12 volt battery pack & charger, for IRIS-P. Also available as a battery belt (PS-24-BPC-B). Extension and replacement cables are available for portable and vehicle based GPR installations.